This purse is one of the Miss Kyoto doll accessories. 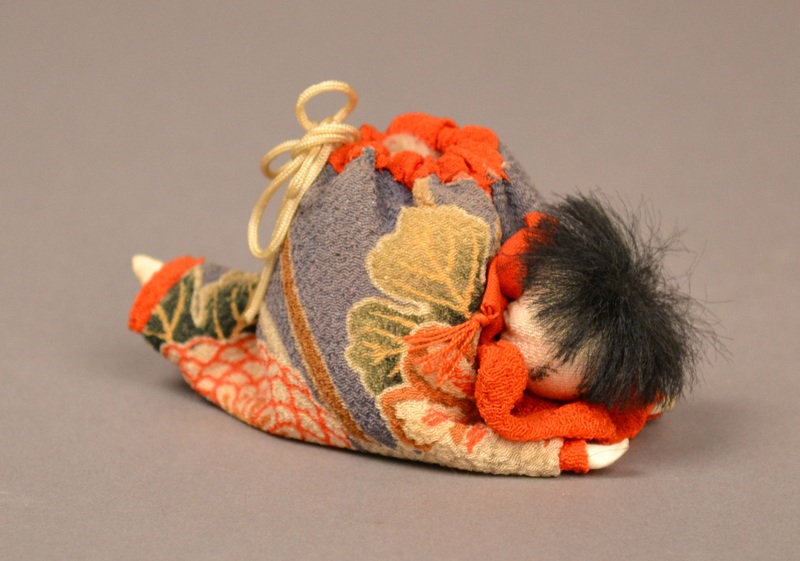 The purse is in the shape of a baby doll, lying in an outstreched position on its stomach; at the top of the back is a drawstring opening. 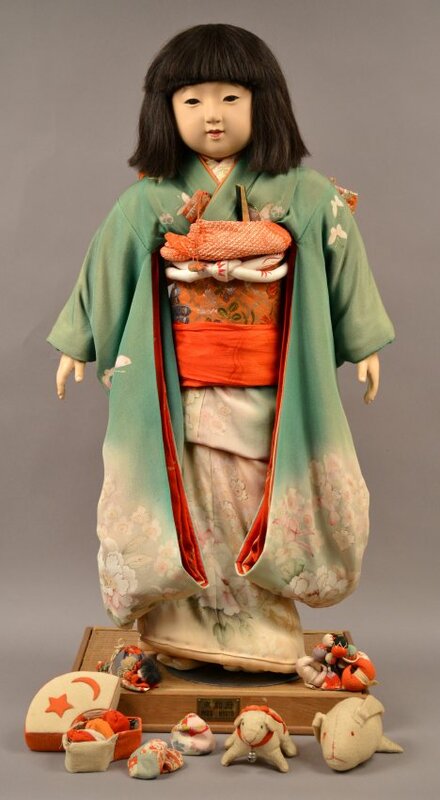 The doll has black hair, and short fabric arms and legs. The purse is covered in silk, featuring an orange-yellow floral pattern on a gray background.